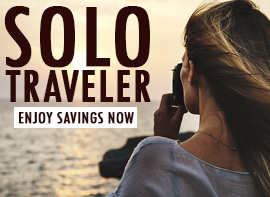 I chose this Best of Italy and Sicily with Trafalgar tour because I wanted to see Italy since it had been 13 years ago I was there and I had not been to Sicily so I knew if I got to go that was a must. My sister wanted to go to the three major cities in Italy so this made her dream come true. Everyone arrived into Rome after long flights and were ready for dinner. We were met at the Trafalgar desk in the airport. We were told it would be a light meal but believe me, it was anything but light. Everyone was starving and the meal was a 7 course dinner, which had everything you could want to eat. The waitresses were spectacular and would bring you anything you needed. In Italy, they do not eat breakfast but have a light lunch and large evening meals. 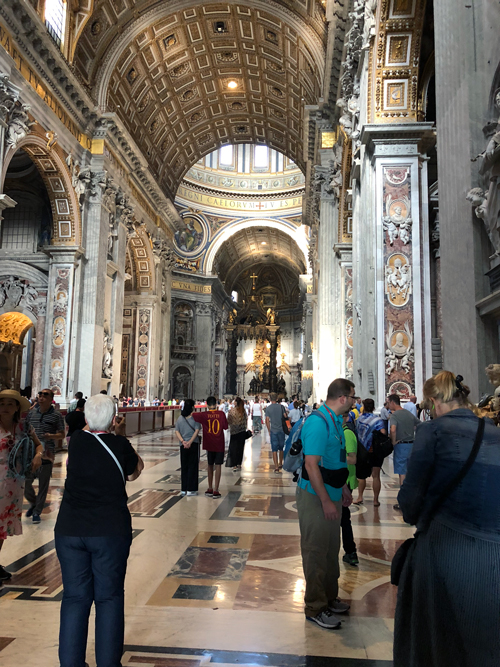 In Rome, we got to go inside St Peter’s Basilica, which is beautiful. We went to see the colosseum, where gladiators and slaves fought to their death. It still has a lot of the walls left intact Later we went to Florence where that night was at leisure. Next day we had a walking tour with a local specialist. We did not go inside the buildings but saw many statues and beautiful buildings as well, like the Piazza della Signoria. 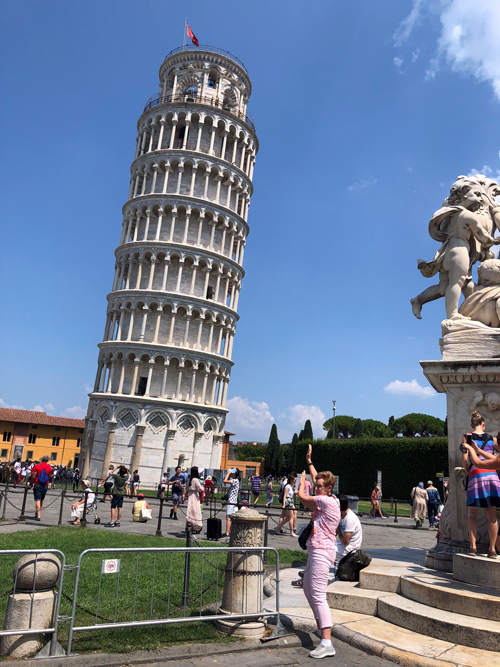 A great included trip is the one to see the Leaning Tower of Pisa. Next stop would be in Venice where we saw St Mark’s Square and Doge’s Palace. 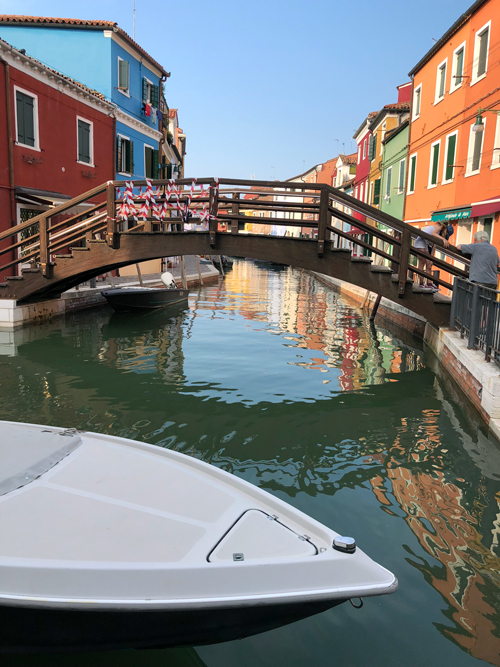 We took a boat ride over to the Island of Lido which has a beautiful small town where we spent two nights. The hotel was close to shopping and close to the beach. We got to go see glassblowing and watch a demonstration of the craft. The jewelry was beautiful. We also went to a leather factory which has many handmade items at really good prices. After we left, we did not find anything equal to the prices at the factory. Hope you don’t pass these up if you need a purse or a jacket! 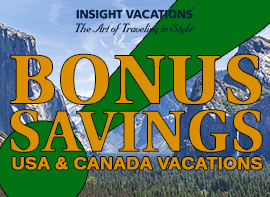 Related: Experience Italy With Trafalgar! 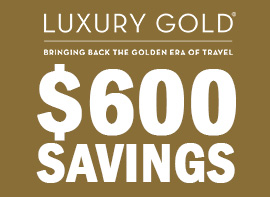 Click Here For The Lowest Prices! I had never been to Assisi and we got to take a tour right through the middle of town and ended in the church of St Francis Basilica. We had to travel to meet the ferry by midnight in Naples. While we were with a local specialist who showed us excavations of the remains after the volcano eruption, our tour director took our passports to get cabins assignments ahead of midnight boarding for us. With this help we arrived at the ferry around 10 PM and boarded the ferry by 10:45 PM, which was a big help since most of the other people were not allowed to get a cabin until midnight. Next morning we arrived into Palermo which is the Sicilian capital. We went on a sightseeing tour which included Teatro Massuni and Pizza Bellini. We also went to Agrigento where we had a small tour of the town. That evening we had a delicious meal. We were able to reach Taormina to spend day relaxing. This is where we took an optional excursion to Savoca, the village made famous by “The Godfather” movie. We went to Europe’s most active volcano, Mount Etna, which was not erupting. It is so large and very cold due to attitude where we saw the lava. Our tour director was always trying to help and due to extreme heat in the afternoon, he changed the tour to the next morning to go to the Valley of Temples. It is one of Greek temples which still partially remains. Related: Italy Is A Feast For All The Senses. 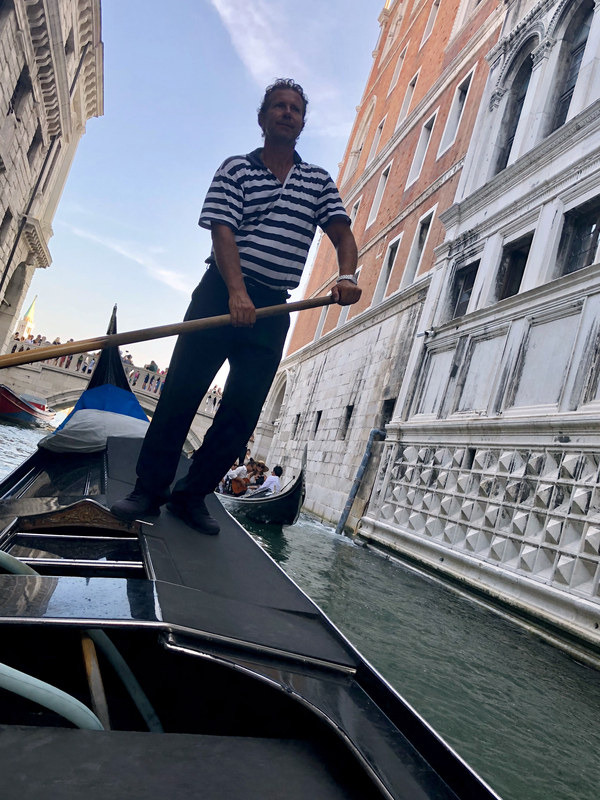 Experience Italy With Trafalgar! The next two nights were in Sorrento which is a neat town. 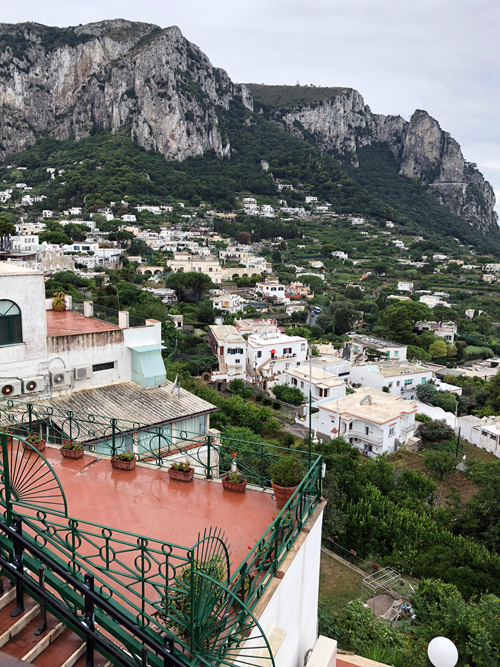 From there we took an optional tour of the Isle of Capri which is amazing. I expected a flat island but it certainly isn’t. The cable car takes you up to the town on the high cliff. We took an optional excursion to Amalfi coast and got to go to Positano which is a town totally built on the side of a mountain. Streets were vertical and very narrow, so most of the people who work there have a park on the road side to go to work in the town walking down the steep hill. We had to also make the walk because the small bus we were on had to park up the hill. I hope you get to see this because the roads are very curvy on the way and I could not have imaged this without seeing it for myself. You cannot be in a hurry to go anywhere near this area. The Be My Guest dinner was near Mt. Etna which was very good and the farewell dinner was great. The tour director was always there to help us and he was professional doing everything which was needed to make the trip the best and most enjoyable. The people in our group were very nice and since we had only 31 it made the trip most enjoyable because we got to know each other very well. This is definitely a fabulous trip but one must be in good shape because it is very active and fast pace trip. 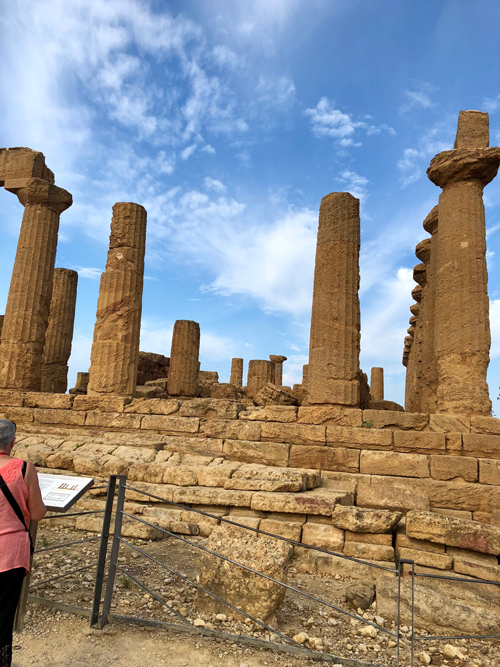 We saw so many historical places and if you want to learn about the Best of Italy and Sicily with Trafalgar, you will love this tour.